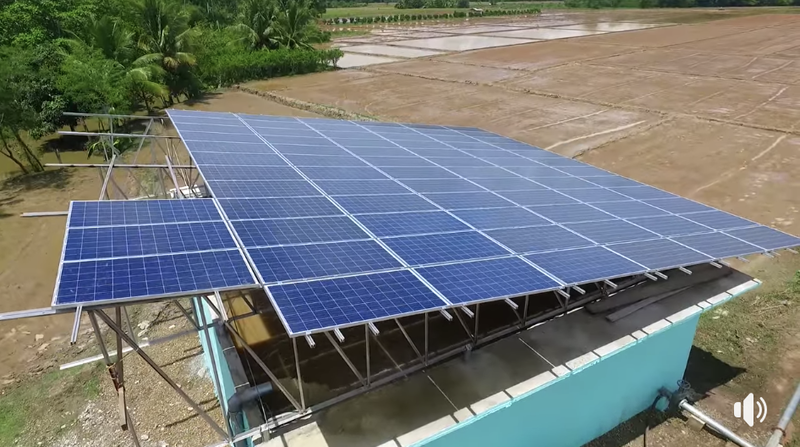 President Rody Duterte last night pledged that Philippine Agriculture will get the money that it needs to undertake a nationwide Solar-Powered Irrigation Systems program which aims to provide water to at least 500,000 hectares of farmlands over the remaining four years of his administration. The President made the commitment during the 28th Cabinet Meeting in the Aguinaldo State Dining Room of Malacañang which stretched from 5 p.m. to 11:30 p.m.
Agriculture was not in the agenda of last night's Cabinet Meeting but during a discussion on how to feed the growing population of Filipinos, Pres. Duterte asked about the Solar-Powered Irrigation Project he launched in March last year. "What happened to the Solar Irrigation Project we launched last year?" President Duterte asked me during the discussion. I informed the President that 169 units have either been completed or undergoing construction this year but that next year, the budget will only allow us to build 10 additional units. I told the President that the DA will have to abandon some of its non-essential programs and realign the funds to the SPIS program for 2019 with a target of at least 100 additional units. President Duterte was briefed that providing water for agriculture is the most important factor for food production, especially for the rice program as it would allow farmers to plant twice a year. Currently, only 1.2-M hectares of the estimated 3.9-M hectares of rice farms are served by irrigation systems under the National Irrigation Administration (NIA). That leaves an area of 2.7-M hectares which could only produce rice once a year and this is during the rainy season. Most of the non-irrigated rice farms could only produce between 3 to 4 metric tons per harvest, a production capacity which could vastly improve if there is available water supply all year round. In fact, the estimate is that the additional 500,000 hectares of unirrigated rice farms if served by small irrigation systems could produce an average of 6 metric tons per harvest twice a year. This would mean an additional rice production of 4-M metric tons every year which if dried and milled with a 50% recovery could bring in 2-million metric tons of rice. The impromptu computation I made on the cost of building SPIS to cover 500,000 hectares resulted in a figure of P43.7-B. This was based on the computation that each of the 6,250 system would cover an average of 80 hectares at a cost of P7-M per set-up. "You will get the budget that you need for that," President Duterte said. Budget Secretary Benjamin Diokno told the President during the discussion that the money for the SPIS program could come from the Imported Rice Tariffication Program and regular funds to be included in the national budget for 2020.